Polka Dot Overload | Sewing, knitting & vintage projects, tips, tutorials and cartoons! 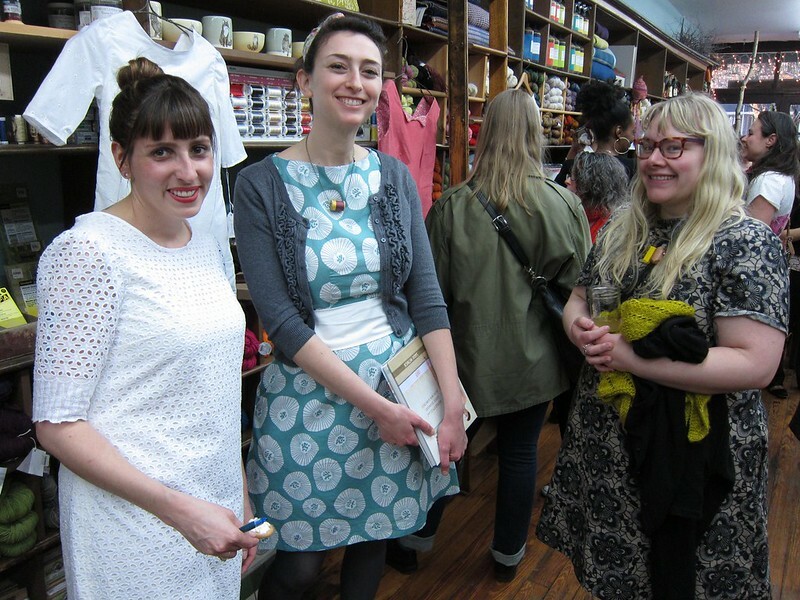 : Brooklyn Sewcializing: Sewing Club & Colette Party! 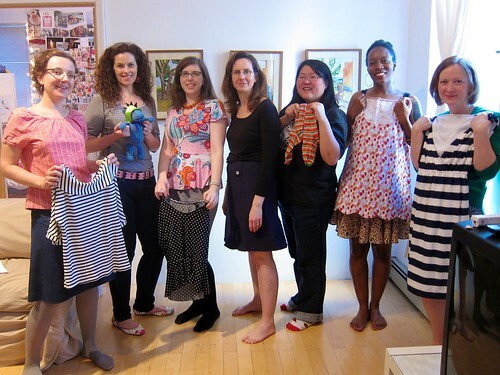 Brooklyn Sewcializing: Sewing Club & Colette Party! Even in the darkest depths of my no-sewing-possible illness and fatigue, I tried whenever I wasn't super ill to make it to the monthly Brooklyn Sewing Club. Even when I had nothing to show during our latest projects go-round, I think it helped keep me grounded and hopeful and inspired. But this time was WAY more fun because I actually had several finished objects to show off! (That's little Z in the foreground eating a strawberry). 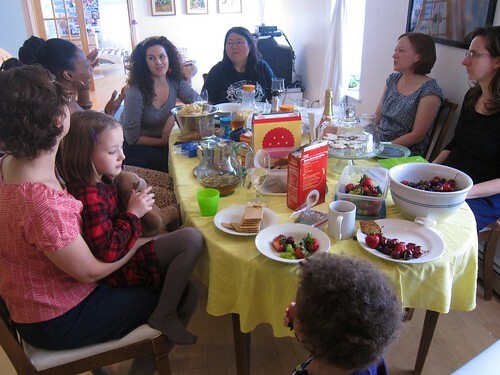 We did our usual go-round, shared our latest sewing and knitting projects and plans for upcoming makes. 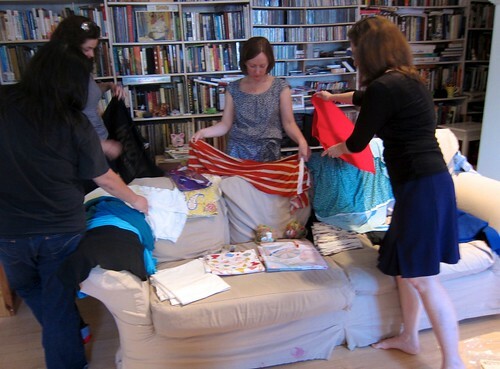 We also discussed sewing and fitting challenges, and I think next time we might do a more fitting-oriented session (it can be SO hard to fit yourself, especially in the back... I cannot count the number of times I have stuck myself with pins as a result). I think I gave away two pieces of fabric and four or five patterns, and I took home two of each. 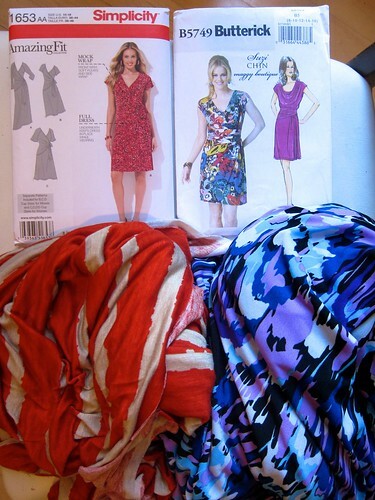 How fabulous is this Simplicity 1653 mock-wrap dress with flutter sleeves? And that blue and purple print knit p is just right for it, too! 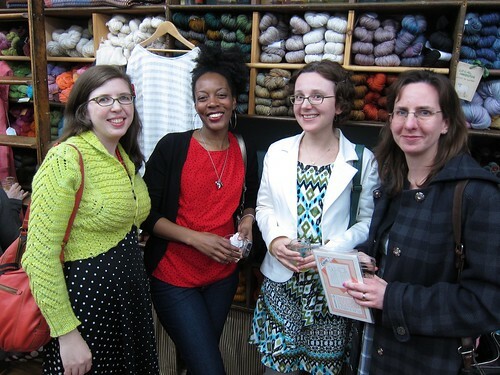 Also, a few weeks earlier, some members of the club went to the Colette Patterns cocktail party at Brooklyn General. Sadly I had no actual Colette to wear, but it was fun to see most everyone out and about in their best Macarons and Gingers and Laurels. Anyway, a lovely time was had by all, and the drinks were nearly as fancy as the pretty dresses! And I'm actually not sew sure if I like the word "sewcial" or not, but I think I just need to give up being sew picky and embrace all the "sew" puns already. Ahem. P.S. Speaking of sewcializing, I believe there's some big NYC meetup happening Saturday at Prospect Park in Brooklyn... but I'm going to be in Massachusetts celebrating my 33rd birthday and attending my 10th Harvard Reunion (in a $4 vintage strapless black velvet peplum dress, if you must know). Looks like a blast! I was a quilter for 10 years before I started sewing garments and had a "Friday night group" that met in the firehouse of our small town. They were with me threw thick and thin--nothing like a creative community! Everyone had such beautiful things to show this month! And guacamole and cupcakes really is the best dinner ever! You guys! 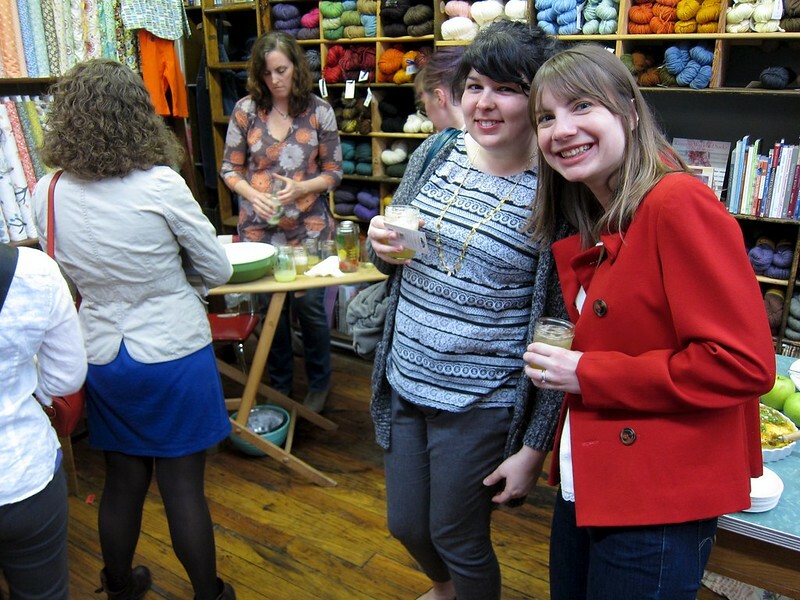 You look so cute and sew-y and your projects look so familiar! Love it! Wish I could come!! It was a super fun meet-up!!! Well, both were great! I came away with copycat fabric and my son made a new little friend in Z! Ooooh, you better post photos of the velvet dress-- it sounds amazing! Happy birthday!